After a growing selection of previews for the past few months, crisp imagery has surfaced of the next Off-White™ x Nike Zoom Fly release. The duo will be delivered in ”Tulip Pink” and “Black” color options carrying on the collaboration’s strong deconstructed theme. Each model shares a translucent upper with signature branding callouts, from “FOAM” on the midsole unit to its industrial-styled labeling on each medial side. In true Off-White™ fashion, each pair is complemented by a light blue zip-tie and an extra set of laces. 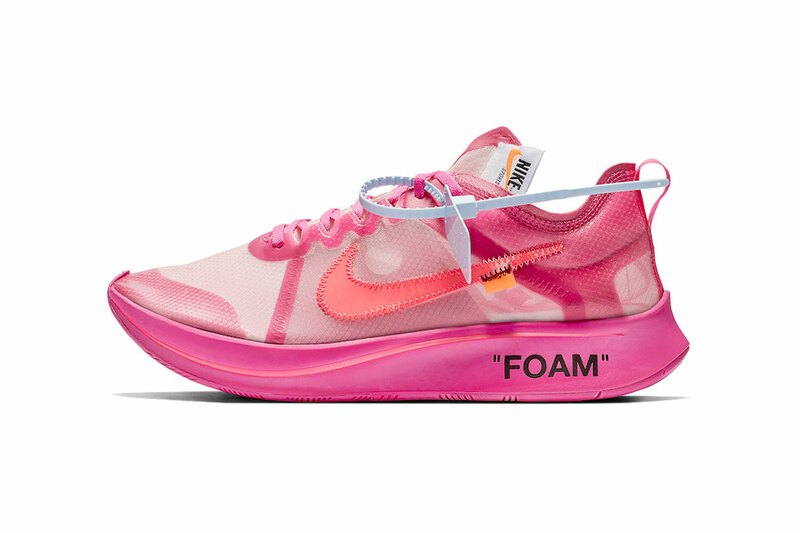 The Off-White™ x Nike Zoom Fly is set to release in “Tulip Pink” and “Black” on November 27 at select retailers like The Webster and Nike SNKRS for $170 USD each. In related news, Virgil Abloh and KALEIDOSCOPE reveal their collaborative “Collector’s Edition” pack. Two versions of the OG Style 36 LX. Of course Frieza is involved.